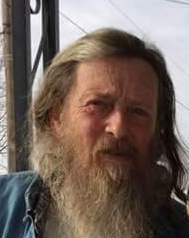 James Hayward McCourt, 56 of Buckhannon passed away on Thursday, March 28, 2019 at United Hospital Center. He was born June 17, 1962 in Webster Springs to the late James Hayward McCourt and Lenor Maise Green McCourt. He enjoyed hunting, fishing, and camping and was a construction worker by trade. He loved spending time with his family, especially his nieces and nephews whom he loved very much. James is survived by his mother; sister Teresa (Gene) Reynolds; brothers Timothy (Mary) McCourt and Jesse McCourt; several nieces and nephews and great-nieces and nephews; and special friends Chuck Doddrill and Lisa Cogar. He was preceded in death by his father. Memorial Services will be announced as soon as the date becomes available. Online condolences may be made to the family at www.doddreedfh.com. Dodd & Reed Funeral Home is honored to be serving the McCourt family.